Hi everyone, hope you’ve been well! It’s been about three months since the release of AWR, a new and improved concept of our long-standing rank tracking tool. Since then we have been diligently working on building consistent upgrades that give you new data and views to work with. The improvements are, as always, designed to make your day to day SEO work smoother, give you new ways of looking at your data and extracting valuable insights. 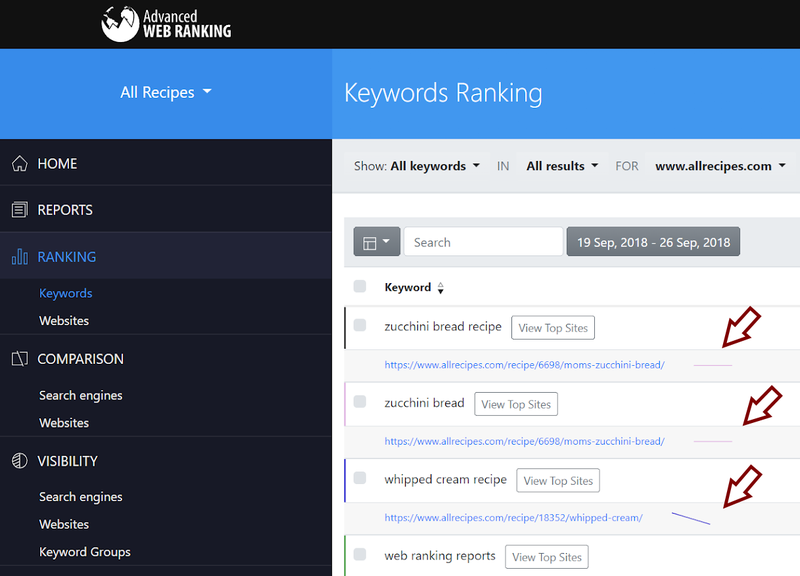 Ranking Keywords is the most used (and loved) view in AWR as it provides a nice overview of all your keywords’ performance, while also allowing to drill down on each keyword to see the exact URLs found ranking and their performance or appearance in SERPs. 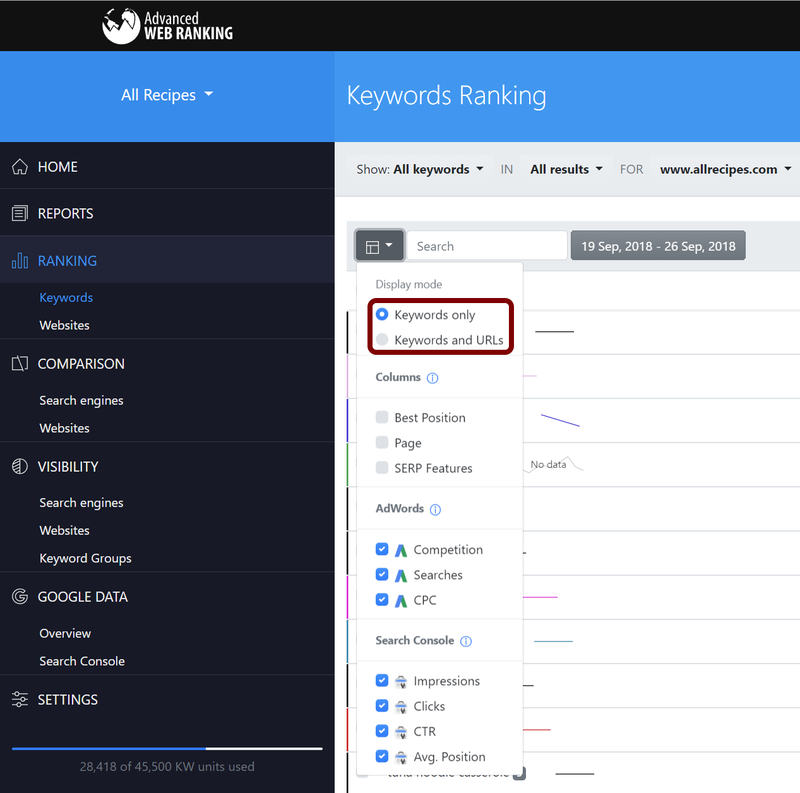 With this new update however, we wanted to broaden the amount of keyword information you can get from this report with a single look, and display all your website URLs found ranking in a list, along with the corresponding keyword information. To get this new look, select the “Keywords and URLs” option in the [Column] drop-down selector on the left. What’s more, this feature is also available for reporting, through the Reports section where you can choose to add the Keywords Ranking data with or without the rankings URLs exposed by default, or right from the Keywords Ranking view, using the Download PDF and Export buttons, as long as the [Keywords and URLs] display mode is selected. 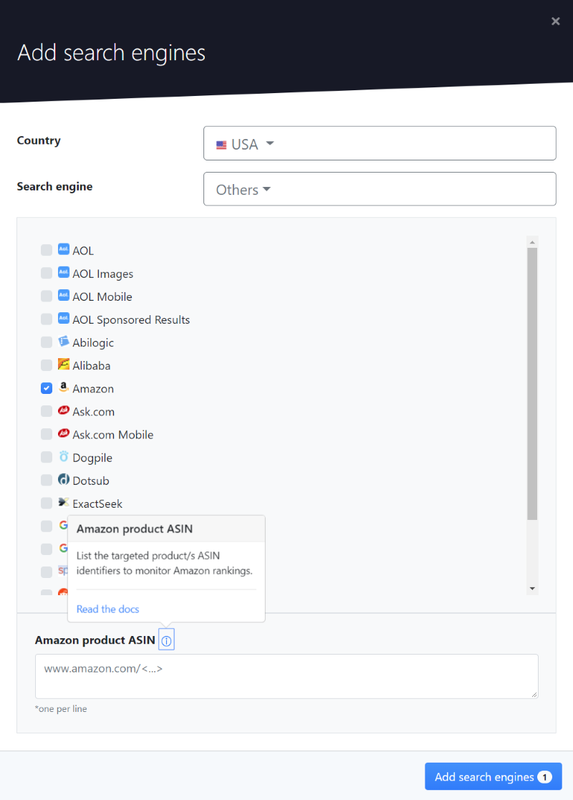 For some of the search engines AWR tracks, such as YouTube, Amazon, Local search engines or Google Play, where the search results are not pages of your website but product listings, YouTube videos or Google My Business Pages, AWR needs additional info to be able to match your site with the search listings. In these cases you need to specify the exact YouTube channel that you want to track, or the products you have listed in Google Play or Amazon, and so on, for the rankings AWR gathers to be correct. All this extra info is set in AWR as Website Aliases. With this new update, we’ve optimized this process and you can now add all this extra info right from the New Project setup or when adding a new search engine to current projects. To edit this info later on, it will be available along with your other Website Aliases under the Settings menu > Overview. If you were using the Gmail SMTP server to send personalized emails from AWR, you will now be able to access it more securely through OAuth 2.0. OAuth 2 allows desktop and web applications (in this case, AWR) limited access to user accounts on HTTP services (here, Gmail or other email providers). It’s an authorization framework that ensures a safe communication flow by sending user authentication to email accounts receiving reports from within AWR. If you already have Gmail SMTP set for Whitelabel, you don’t need to take any actions. It will continue to work with no problems, just as before. If, however, you wish to connect through OAuth 2.0, you will need to “Sign in with Google” and re-authenticate the AWR app with Gmail. A small step that makes communication easier and smoother in the long run. Valuable information that was gathered by AWR has now been brought forward in the UI and made a default setting, while other data columns have been set as optional. These changes are meant to help you gauge the value of the keywords you track faster and more easily. Hence, starting with this app update, you will see the [Searches] and [SERP Features] data columns replacing the previous [Page] and [Best Position] defaults in Keyword Rankings, as well as in both views of Comparison menu. The new defaults will be visible only for any new projects you add in your account. Once you change your column configuration, preferences are saved for each project and view, so don’t hesitate to adjust them as needed. For the initial data retrieval AWR makes from Google Analytics or Google Search Console for a project, which often means getting all historical data available, the updates may take up to several hours. This means that you will need to come back in a while to start seeing results. But now, once the Google data update has been completed, you will see a small, dynamic in-app notification next to the Google Data menu, inviting you in. The notification appears only once per project, for the initial update, and will disappear once you click the menu and access the fresh data. You can now add an optional parameter when defining dynamic search engines via API for location SEs. The “se_type” parameter allows you to choose the result types you want tracked, such as “Desktop Universal”, “Mobile Organic”, “Mobile News”, etc. The full list of parameters now includes the search engine name, country, location, language, and the above mentioned SE type, enabling you to configure your tracking environment with greater precision. You will be able to track your keywords’ rankings exactly as your customers or their audience would see it in SERPs. For the full setup process and search engine types allowed, check out the API documentation here. On this latest update, AWR’s development team aims to give you a better way of tracking your keywords, assessing their value and taking optimization decisions. Whether you want to analyze your landing pages’ performance, spot cannibalization issues, or improve the visibility of an online business, these improvements will help you reach your goals faster. Reporting and emailing from AWR have also been kept in mind, so the way you communicate internally and externally promotes the transparency of your tactics and achievements to clients. I’d love to hear what you think of these tweaks. Have you used them yet? How did you, or are planning to integrate them in your regular flow?